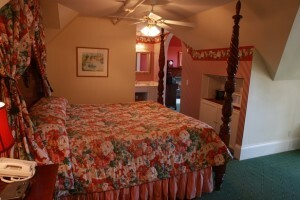 Room rates are dependent upon season and availability. 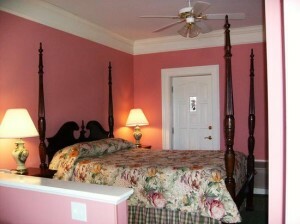 All rates are subject to applicable Michigan tax and service/tourism charges. 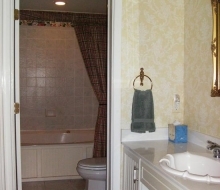 We accept Visa, MasterCard, American Express, and Discover cards. 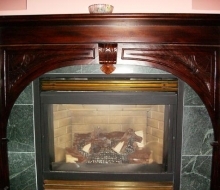 Personal checks are acceptable for balances owed at check-in only. 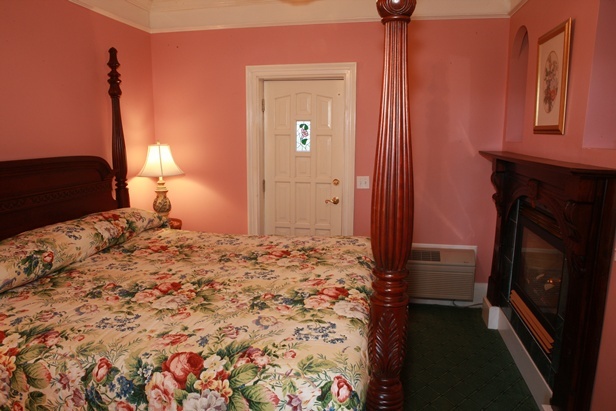 Room rates start at $95 – $265. 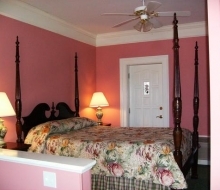 Prices vary according to spring and fall schedules, weekend, holiday and special events. 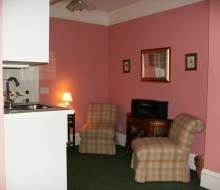 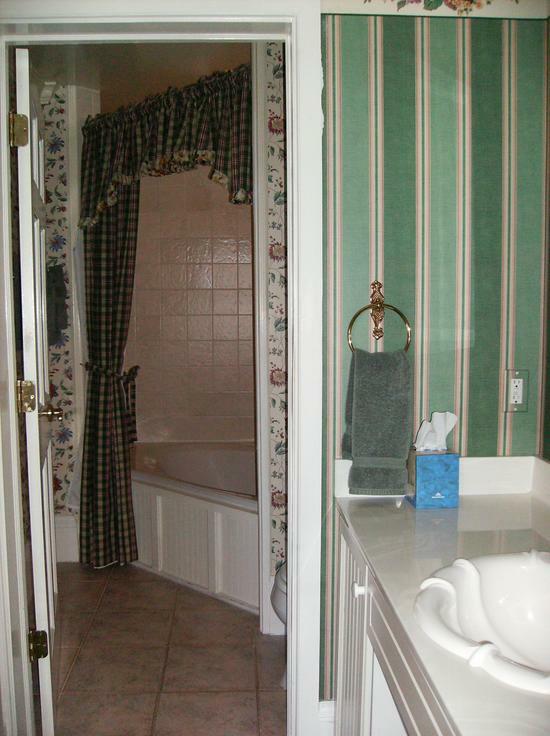 A separate sitting room and bedroom are featured in this suite. 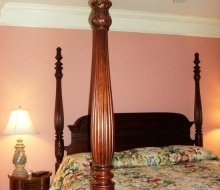 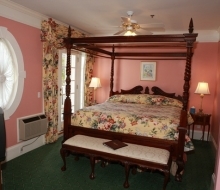 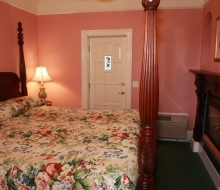 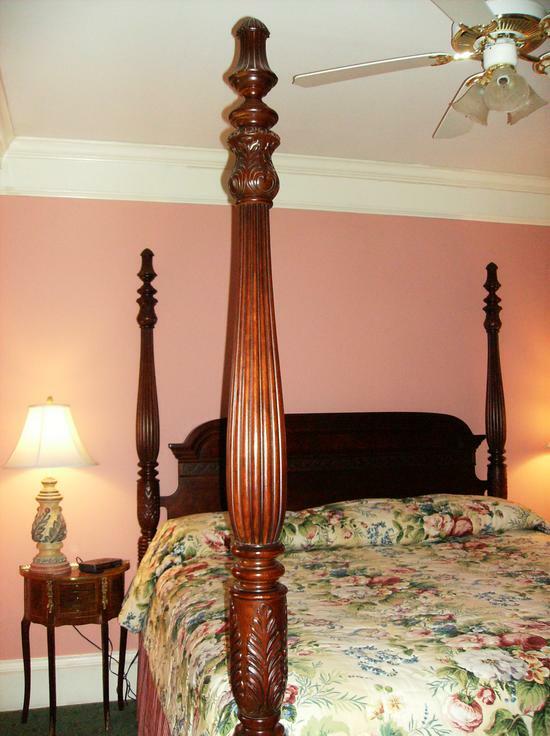 You will find that the bedroom has a beautiful king four-poster bed, and the suite’s elegant gas fireplace is nestled near the foot of the bed. 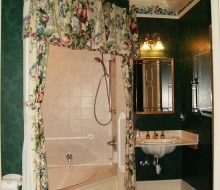 This suite also has a large private bathroom, including a generous corner whirlpool bath, heated marble floor, and personal body accessories by Gilchrist & Soames of London. 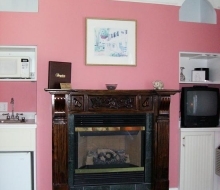 The sitting room features a cozy couch (also a queen sofa sleeper), large armoire housing the television/VCR, and a comfortable ottoman for your tired, restless feet. 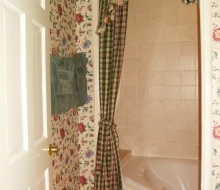 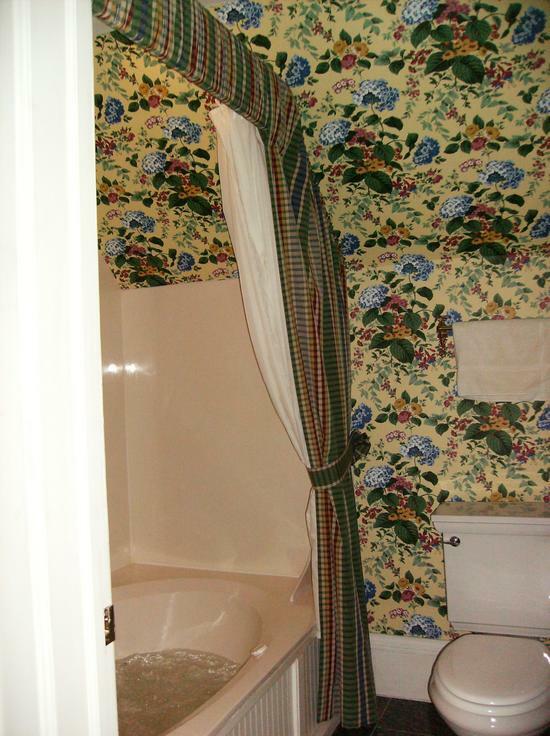 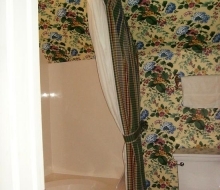 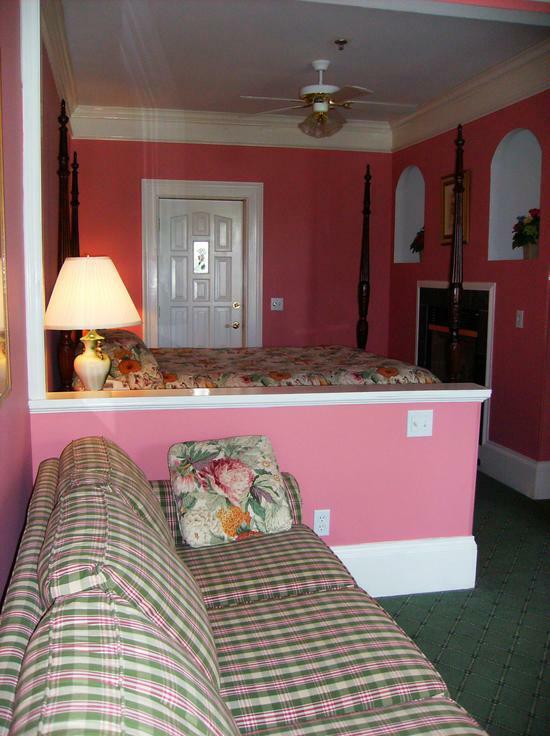 This suite is wheelchair accessible. 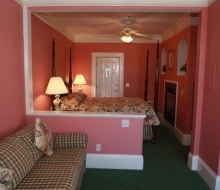 Boasting the only suite with a private outside entrance, you will find a spacious layout comprised of a sitting room and bedroom area defined by a half wall. 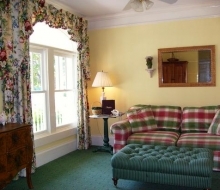 The sitting room features a comfy couch on which you can snooze, catch your favorite television show, or enjoy one of the many films from our library. 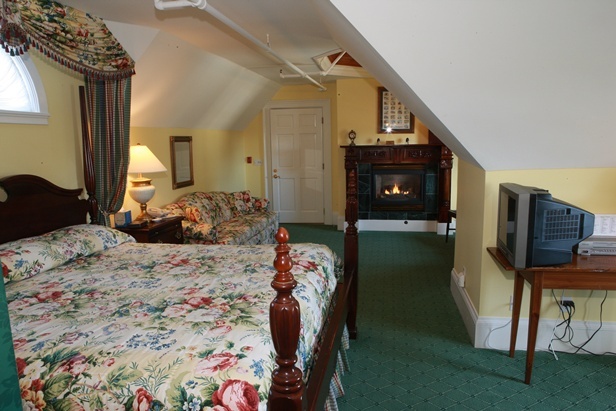 In the bedroom, you will relax in the comfort of a king four-poster bed and the warm of the suite’s gas fireplace at it’s foot. 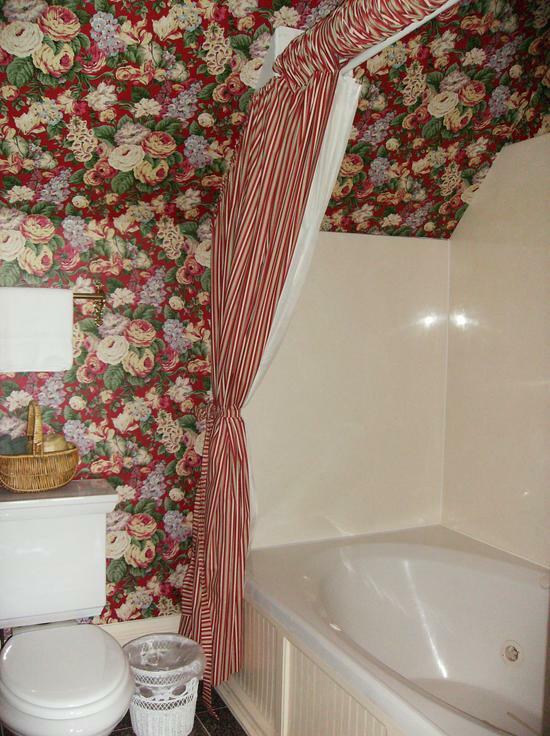 But not after you enjoy a relaxing spa bath of Gilchrist & Soames bath accessories, and stepping onto a warm marble floor in the bath. 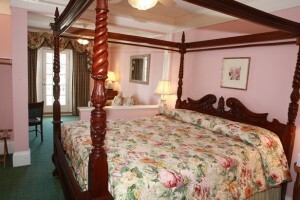 Luxury at it’s best, and dreams in the making. 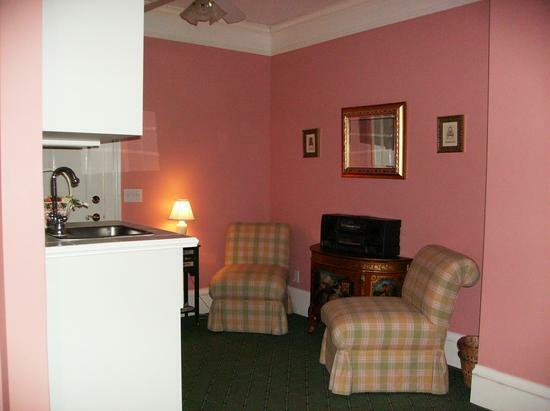 When you enter this suite, you will encounter a spacious sitting room quietly separated from the bedroom area by a half wall. 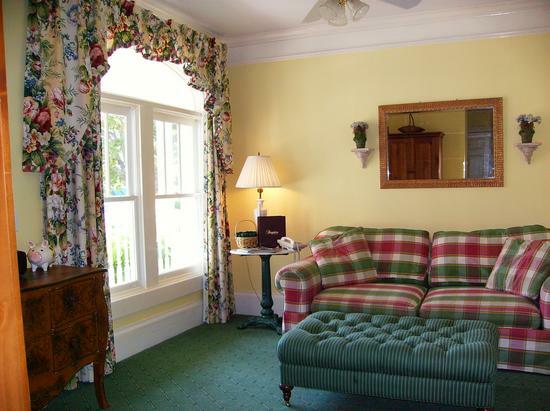 You will enjoy lounging on the cozy couch (which doubles as a queen sofa sleeper) while relaxing with a good book or your favorite movie from our collection. 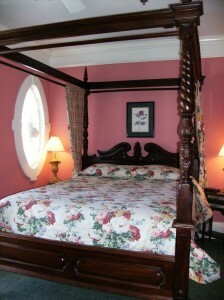 In the bedroom area, a beautiful queen four-poster bed is centered in front of the suite’s inviting gas fireplace. 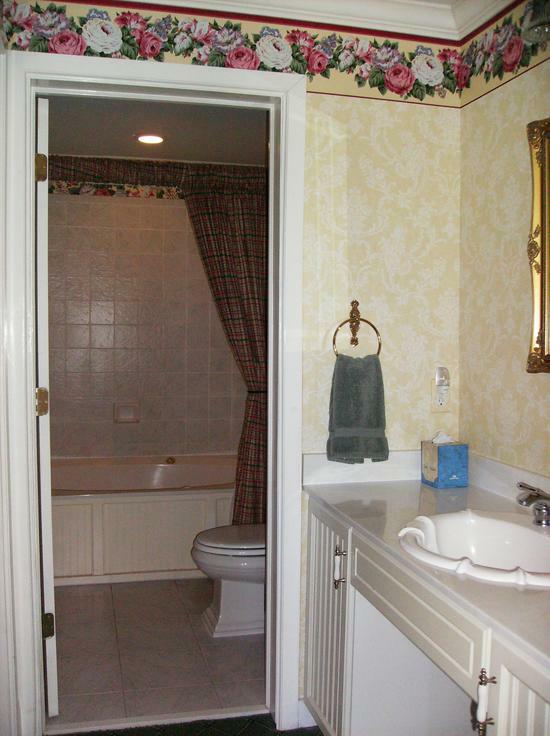 The bath features a lovely whirlpool and heated marble floors, and your luxury is highlighted with personal body accessories from Gilchrist & Soames of London. 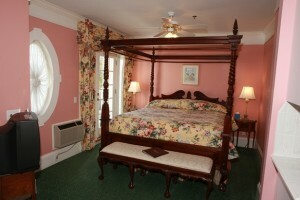 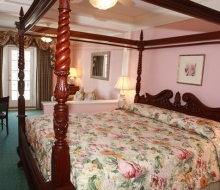 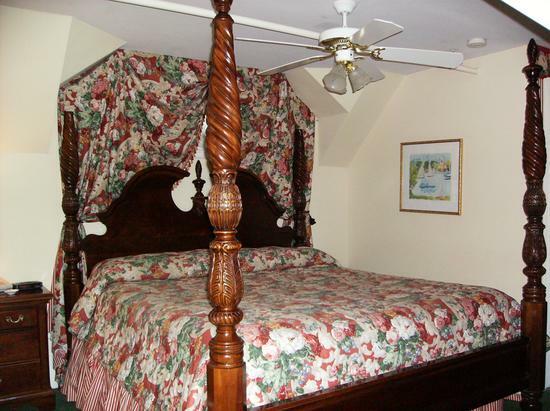 A popular honeymooner’s request, this suite features the largest king four-poster bed in the inn. 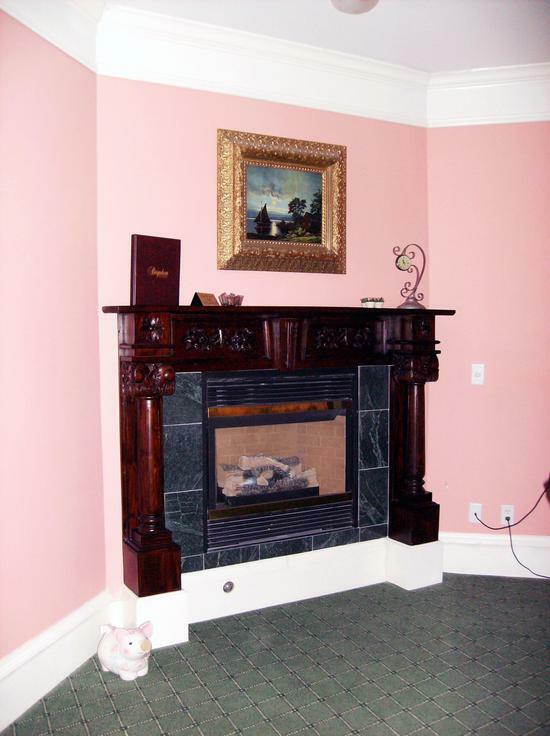 The stately gas fireplace graces the suite from a corner angle, and you can relax either in bed or in the quaint sitting area while enjoying the warm and ambiance of the fireplace. 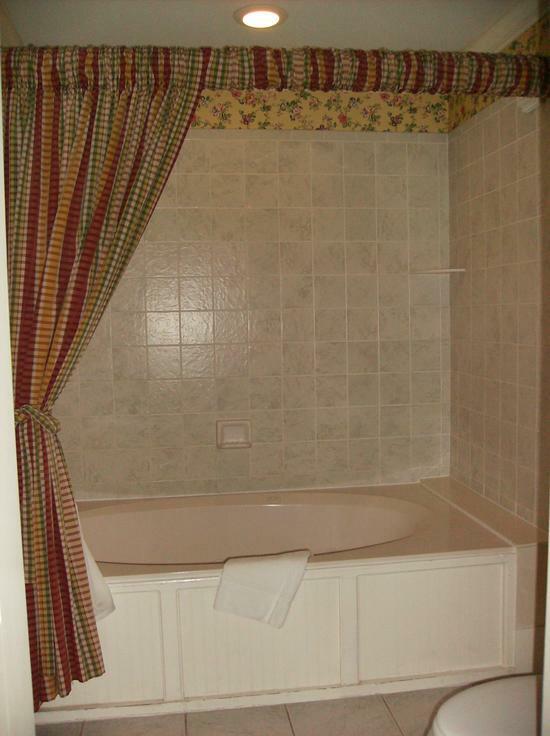 You can also ease your tired muscles in the spacious whirlpool tub, surrounding yourself in the luxury of personal body accessories from Gilchrist & Soames of London. 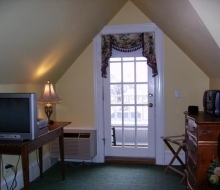 This suite also offers the delight of a balcony facing towards Lake Huron, where you can enjoy a view of the lake and town area. 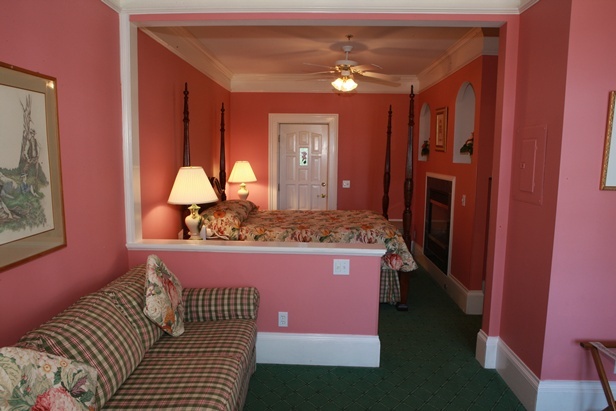 Situated in the center of the inn, this suite boasts the largest balcony as one of its outstanding features. 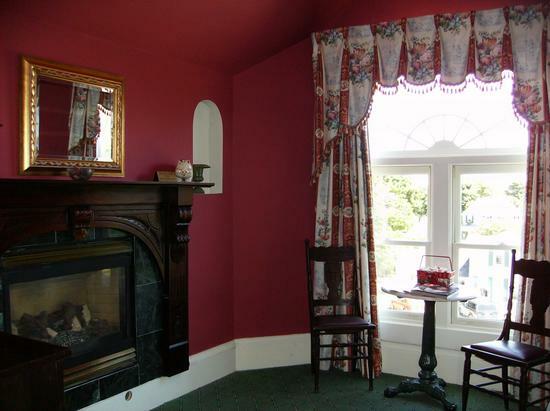 The sitting room is separated from the bedroom area by a half wall, and offers a comfy couch for your relaxation in front of the cozy gas fireplace while watching your favorite TV show or a movie from our library. 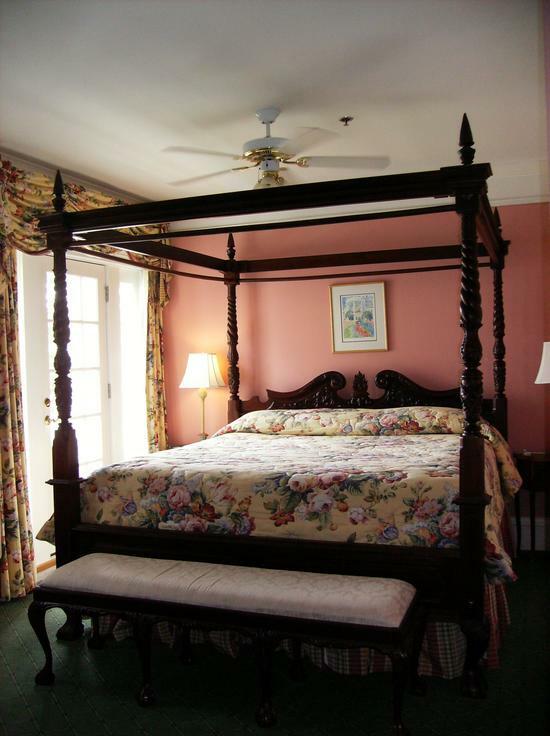 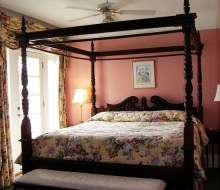 You will also find comfort in the huge, soporific king four-poster bed. 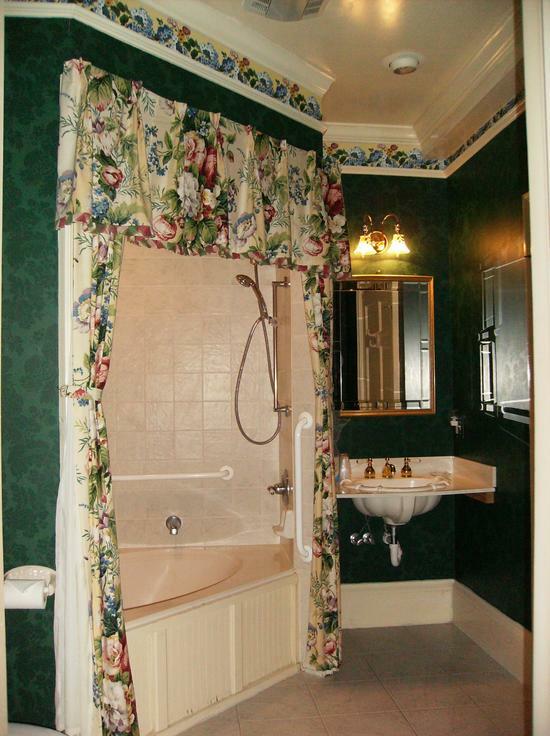 An inviting whirlpool tub and a heated marble floor grace the bath, and you can relax & delight in the luxury of personal body accessories from Gilchrist & Soames of London. 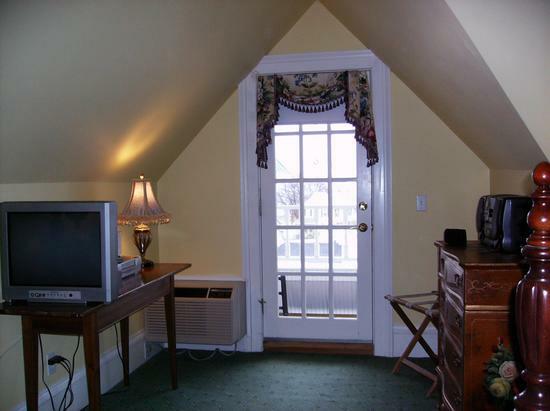 The view from the balcony is towards Lake Huron, which is a short residential block from our inn. 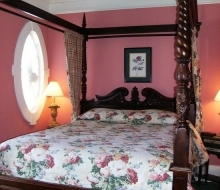 This suite hosts a beautiful queen four-poster bed and a lovely separate sitting area with a comfy couch that opens to a queen size sofa sleeper. 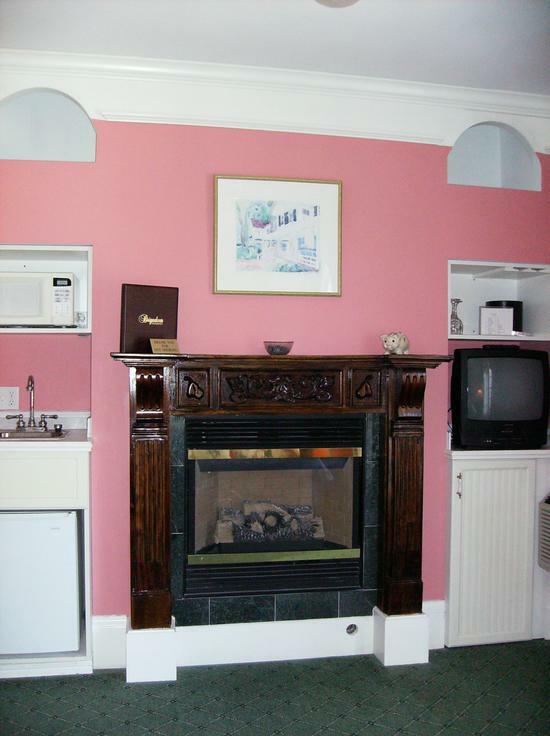 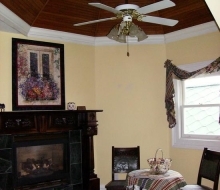 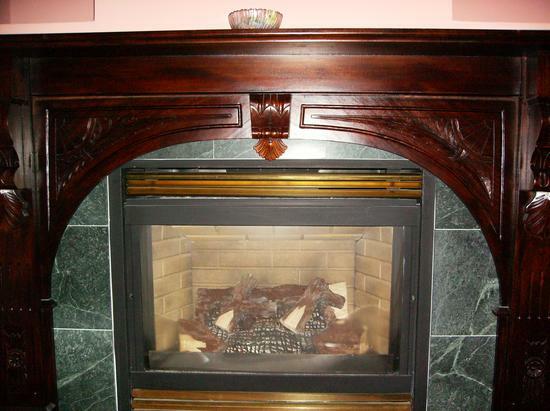 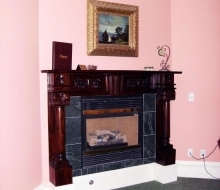 You will find the comfortable bedroom area to be graced with a beautiful gas fireplace with a large carved mantle. 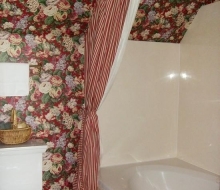 You can also relax in the private bath which features a large whirlpool tub and heated marble floor, and pamper yourself with personal body accessories from Gilchrist & Soames of London. 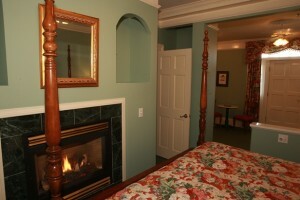 The balcony view is east towards Lake Huron, which is a short one block stroll from the inn. 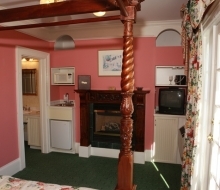 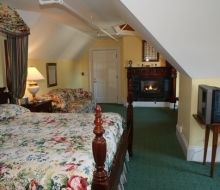 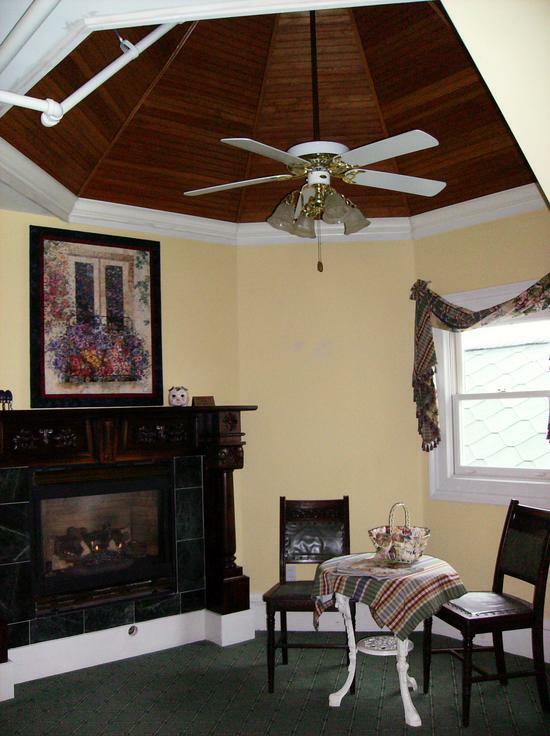 This suite is one of two at the top of the inn, and features a sitting room area warmed by a gas fireplace adorned with a beautifully carved mantle, and an indoor turret that extends high above the ceiling. 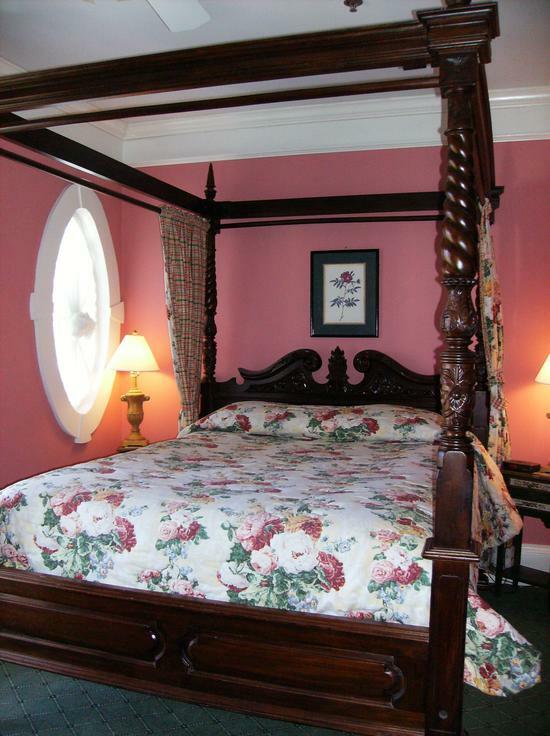 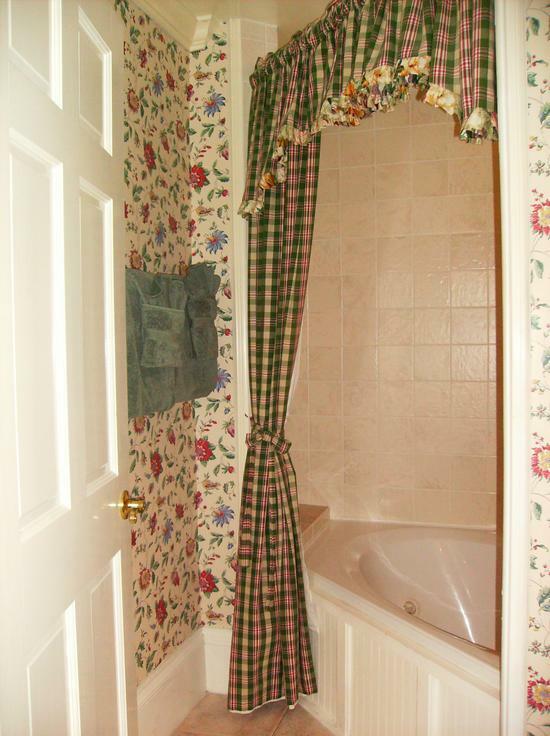 While you are not relaxing in this area, you will enjoy the comfort of the king four-poster bed or the luxury of a large whirlpool tub, heated marble floors, and personal body accessories from Gilchrist & Soames of London in the private bath. 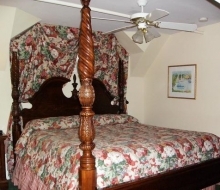 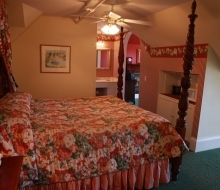 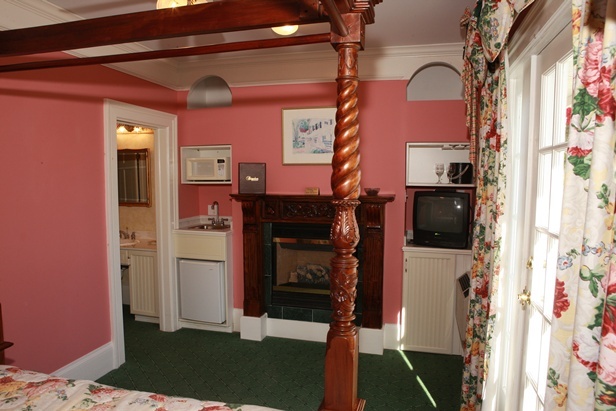 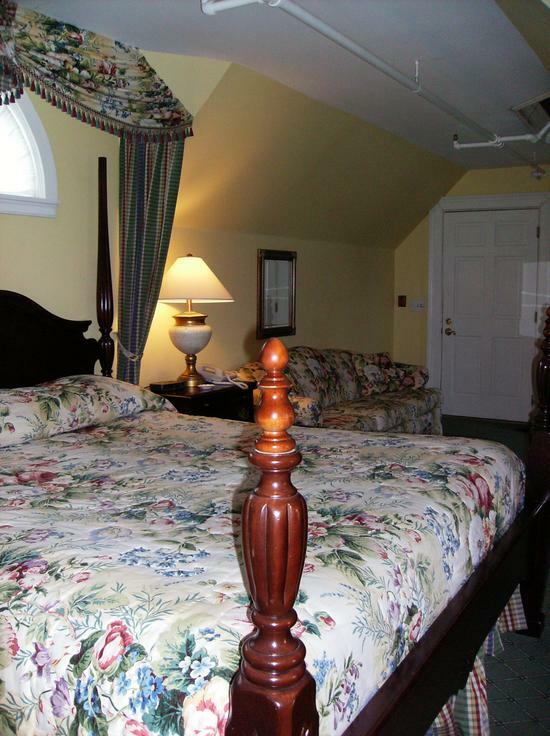 Located at the top of the inn, you will venture up a circular staircase to the entry to this suite. 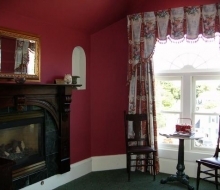 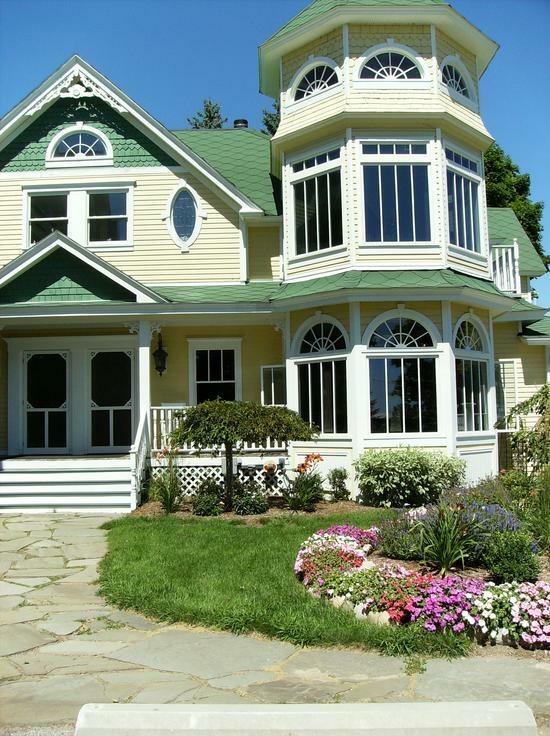 The large bedroom area is home to a striking four-poster king bed, and a cozy couch and beautiful gas fireplace reside in the sitting room, which faces east to Lake Huron for romantic sunrises. 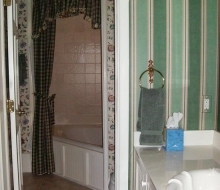 You will enjoy the spacious whirlpool tub and heated marble floor in the bath, while relaxing with sensational soaps & accessories from Gilchrist & Soames of London. If your stay is one night, we require full payment at the time of booking your reservation. 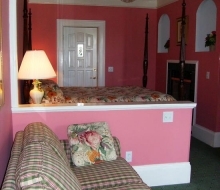 If your stay is longer than 2 nights, one half of the total is required at the time of booking; the balance will be charged 10 days prior to your arrival date. 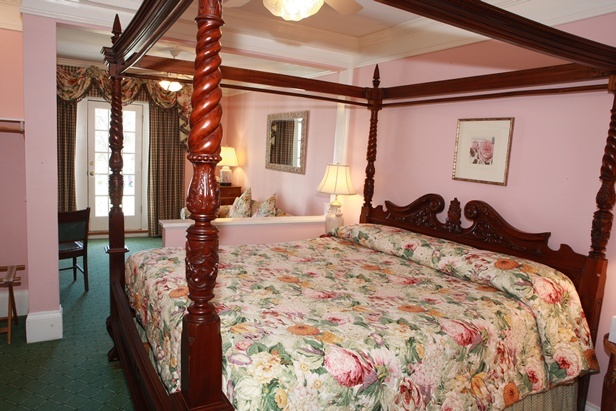 Due to our limited number of guest rooms, we must adhere to a strict cancellation policy. 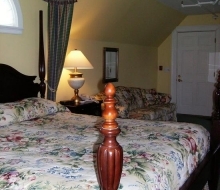 If you are unable to join us, and you contact us more than 10 days prior to your arrival, we will assess you a $30 service charge per night cancelled. In the unfortunate event that you contact us within 10 days of your arrival date, your reservation charges are non-refundable.